Guess who's returning to town on the 23rd of November steemians? BLACK FRIDAY!!!!! 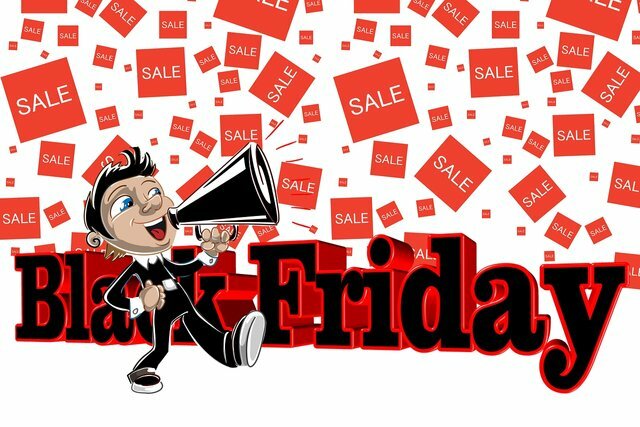 Some of us might have heard of Black Friday and know it's the day following Thanksgiving Day in the United States, although a lot of countries partake in this tradition despite the fact that they don't observe Thanksgiving Day. Black Friday takes place on every fourth Thursday of November and since 1952 has been regarded as the conception of the country's Christmas shopping period. Nevertheless "Black Friday" was not well acknowledged until the early 2000s. Consumers like me ideally go on the look out for Black Friday deals days in advance to know exactly where to get the best deals. To increase the company's productivity advertise your specials earlier and also include teasers ads. This allows customers to look forward to something while waiting for the D-day. Black Friday is usually talked about by lots of people and so companies can get to know their consumer’s needs and satisfy them just by listening. Social media platforms especially Twitter is said to be the best platform to observe realistic conversations. As soon as Black Friday begins, goods will be taken off the shelf quickly by customers, so companies should make sure that their goods are enough to avoid customers disappointment. No one wants a slow website on Black Friday when shopping. Ensure the company's website is able to handle high traffic to avoid customers becoming irritated, so the expertise of an IT professional should be consulted early enough to avoid loss. All operations should work with rhythm on Black Friday. Therefore companies should make sure that whoever has partnered with them for logistics can control increased deliveries. If you are in a Delivery company, then profit can be made by giving discounts or providing round-the-clock deliveries. A Small scale company can give a fantastic shopping experience than large scale ones by creating a comfortable and relaxed environment in the store for their customers despite the excessive traffic. For this reason alone, customers can refer friends. Customers like me wants to close deals as soon as possible and get into the next store. Companies method of payment should be flexible to allow for a swift shopping experience. Therefore during card payments in store, the important goal is to is to avoid queues; employ more staffs to attend to the increasing customers. A wireless POS system that takes the checkout counter to the customer can also be used – For example if you own a boutique, it can be situated just outside the change rooms of your boutique clothing store. For e-commerce, ineffective payments issues are one of the greatest reasons why shoppers become uninterested. Ensure there are shortcuts for online payments and create a website that is mobile friendly. You can make a fantastic hashtag for customers to use when posting your product image on social media.